Welcome to DIGITAL Memories scanning service. 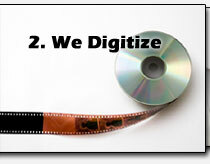 We specialize in digitizing your traditional photography collection. Our services will preserve your photos, slides, 35mm negatives, albums, and APS film by creating high resolution digital images from your traditional collection. We’re a small family owned business that provides personal service, quality work, and a level of trust that larger entities just can’t offer. Take ten minutes and browse our site, learn who we are, what we do, and why we’re your best choice when choosing a provider to bring your memories into the digital age. Don't let those old photos fade away! Preserve them with our photo scanning service. Our photo scanning services are the perfect way to make the photo collection available to the entire family. Once your photos are transferred into digital form it's easy to create reprints, share them online, and scrapbook without destroying your originals. We think you’ll be thrilled with our premium print scanning services. Please take a few minutes to learn more now! Wouldn't it be nice if all those old photo albums could be turned into digital photo albums? Well now they can be! 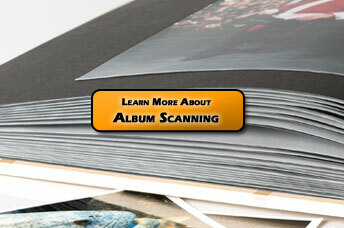 Our photo album scanning service does just that, makes your traditional photo albums digital. You'll never need to worry about a disaster, fire, flood, hurricane, or earthquake again. It's easy to backup your photo albums once made digital. 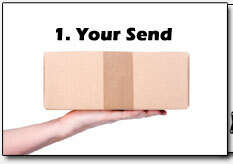 Ordering reprints, sharing photos online, scrap booking, and distributing a copy to the entire family is easy. Click below to learn more now! We offer slide scanning services for families and for professional photographers. Remember those old slides stowed away in the closet? Well it's time to get them out and digitize them! It's time to clean out the closet, toss the old slide projector, and convert those old slides into digital pictures. If you're a professional photographer we have a solution for you as well. 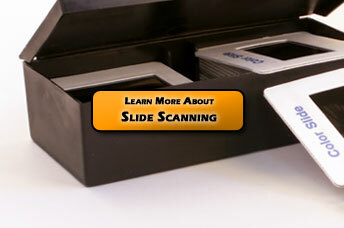 Click below to learn more about our slide scanning service. Get digital images from your developed negatives! We have what it takes to create beautiful digital images form your 110, medium format, APS, and 35mm negatives. Our negative scanning services include FREE image enhancements that are sure to please. 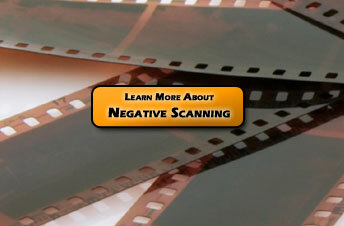 We offer negative scanning options for professional photographers and for families. Click below to learn about transferring your negatives into digital format. 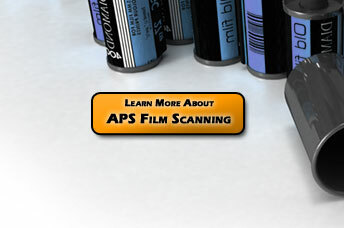 Bring your Advanced Photo System film into the 21st century with our APS / Advantix film scanning services. Send us your APS cartridges and we'll scan and digitize them with premium Nikon scanners that produce beautiful digital images from your developed film. You can then archive, edit, view, create reprints, and scrapbook using your new digital images. Preserve your baby's toothless grin, or relive your wedding day with the click of a mouse today! Click below to learn more. We've joined forces with MiMedia providing you an amazing new approach to online photo sharing & backup – a way to preserve, access, enjoy, and share your photos, videos, music, and important documents online. Access your newly digitized photos from any computer, from your iPad or iPhone, and share them with family and friends, on Facebook, or through email with just a few mouse clicks. How's this possible? Watch the video to the left to learn more. Best of all, your sixty day trial is included FREE with our scanning & digitizing service. We'll even upload your scans at no charge. Click below to learn more about online backup and cloud storage. Our process is simple. You send us your traditional collection, we scan and digitize everything, we securely FedEx your originals and new digital photos back to you, you then enjoy your new Digital Memories! We’ve worked with thousands of people just like you. 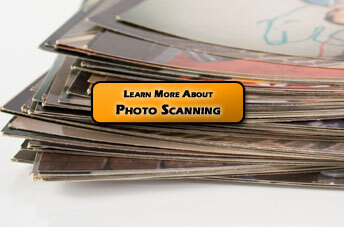 We offer scanning options for Families, for Special Snapshots, and for Professional Photographers. We think trust is important when choosing a provider to transfer and digitize your valuables. Please take ten minutes and get to know us by viewing the rest of our web site. When you're ready to get started it’s as simple as downloading an order form to send in with your photos, slides, negatives, photo albums, or APS film. Click below to learn more about how our scanning service works. Ever used a “scanning or digitizing” service? If not don't worry! We’ve made the experience easy for you. You don’t need a degree in digital imaging to take advantage of our scanning and digitizing service. We’ve created three all inclusive options that contain everything you’ll need to have a successful transfer. Click the “Learn More” button below and we’ll walk you through the details. It’s that simple.